Every participant will get a $100 VISA gift card. We appreciate you taking a few minutes out of your day and want to compensate you. No catch. 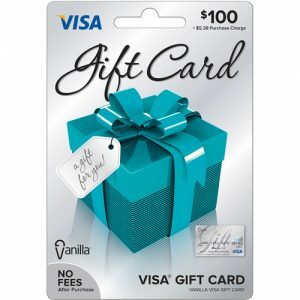 Your $100 gift card will be sent to you immediately. But the Grand Prize Winner gets $500 Cash! How you spend it is up to you. All you have to do is send us a 90-second video telling us how we have made a difference in your business and what problem(s) we’ve helped you solve. That’s it. If you want to win the Grand Prize just put a little thought into your response beforehand. What was your BIG HAIRY PROBLEM? How did we help you solve it? Why would you recommend us to a friend? If you are unsure how to record a video with your smartphone, ask a family member, friend or your receptionist for help. It’s really quite simple. If you’re worried about how you look on video, this might be your best option. Call the following phone number: 619-361-7460 When prompted to leave a message, start talking. We will record your voice and that becomes your entry. If you are unsure how to record audio with your smartphone, ask a family member, friend or your receptionist for help. It’s really quite simple. All testimonials must be submitted by June 20th. The winner will be announced based on the best testimonial video on June 21st. You must be an active client of Appliance Repair Marketing, LLC. (ARM) to participate. All participants agree to allow ARM to use your testimonial on our website or in future advertising promotions. All prizes are awarded “as is.” Gift cards are nontransferable and cannot be exchanged or substituted or negotiated. All entrants and winners agree that ARM and its affiliates shall have no liability and shall be held blameless for any injury, misfortune, or damage to either persons or property insured by entering, participating in, winning, or losing any contest by use or non-use of any prize received. All State, Local, Federal and/or other taxes, duties, tariffs, title fees, licensing fees, or other fees for prizes awarded will become the sole responsibility of the winner. ARM reserves the right to change any of this promotion or the promotional elements. Odds of winning are based on the number of entries received.